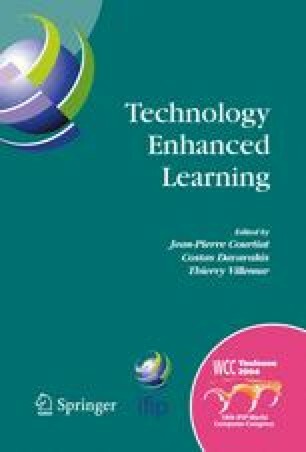 This paper describes a computer-assisted language learning (CALL) in a ubiquitous computing environment. The environment, called TANGO (Tag Added learNinG Objects) system, detects the objects around the learner using RFID (Radio Frequency Identification) tags, and provides the learner the right information for language learning. This system supports learning in daily life with PDA (personal digital assistant) beyond web based education with desktop computers. In the experiment, the learner played the game of TANGO, and was very interested in this system.